With forecasters predicting increased sea levels and more frequent tidal surges, cutting-edge software and data gathering techniques are helping provide local authorities, emergency services and homeowners with the critical insights they need into flooding and flood risk. 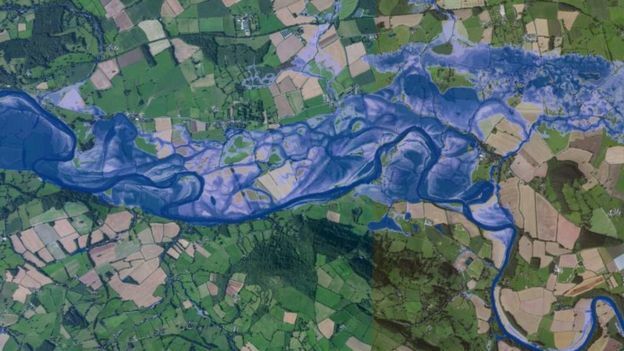 The CEO of Ambiental, a specialist in flood risk assessment, Justin Butler, spoke at the Green Data conference on how flood modelling is helping authorities to plan and budget for flood defences, allowing insurers to price risk more accurately and enabling emergency services to improve how they respond. He told delegates at the conference held by the Environmental Industries Commission (EIC) that green data applications were presenting opportunities for reducing environmental risks and improving emergency responses. The company uses digital terrain models through Lidar laser technology and other data to map how water flows across urban and rural landscapes. With access to high-quality geographic and flood data, including pluvial (surface), fluvial (river) and tidal sources, Ambiental is able to generate both local and national flood models. Its Flowroute modelling engine is able to simulate flood flow patterns and predict future water levels by accessing data historically and from sensors on land and aerially. The CEO discussed how mapping risk for individual homes was a recent phenomenon and that it meant homeowners would no longer be “tarred with the same brush within a postcode that is deemed most at risk”. The conversations on solutions and adaptations was said to be never more important with future analysis showing that by 2080 (under a high-emissions scenario) the number of properties at risk within the Thames estuary partnership will double from one in six to one in three – something that Butler described as “sobering”.